Q. What is your pre-LearningFuze story? What was your educational background and career path before you decided to attend a coding bootcamp? A. Before attending LearningFuze, I was a student at the University of Illinois: Urbana-Champaign majoring in Chemical Engineering. I determined that University/College life wasn’t for me, and so I left Illinois and returned to California. I took some time to think about where my career path would be, and where I should focus. 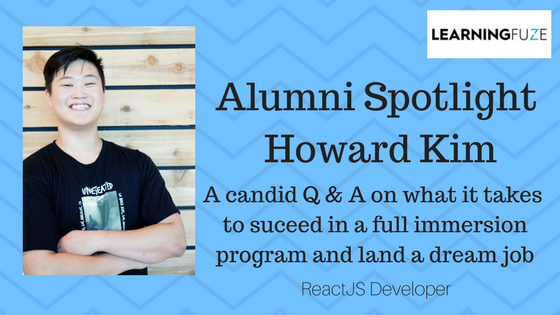 I found myself working with programming and initially attended a different bootcamp in the area. I left after the first month, due to difficulties with commuting and their lack of a structured program. 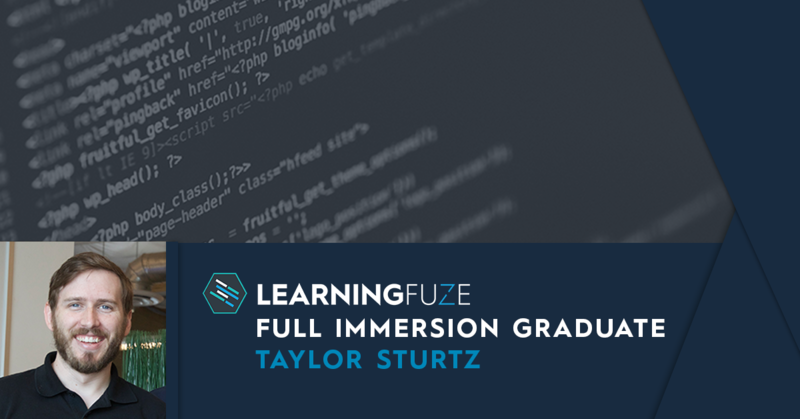 After some time to think and research, I found myself at LearningFuze where my passion for programming accelerated and greater challenges to overcome awaited me. Q. How did you decide that a bootcamp was the right choice for you and then how did you choose LearningFuze out of the hundreds out there? A. I attended the first bootcamp honestly due to a naive belief that learning programming would “get me rich quick.” A lot of bootcamps often offer a repetitive strategy: “learn to program, and you can get a job that’s guaranteed to payout.” But like most things that offer a quick solution, I learned quickly how untrue that was. It takes hard-work, dedication, and sacrifice to be even a decent developer. I visited a few bootcamps before I finalized my decision at LearningFuze, where I enjoyed the atmosphere. 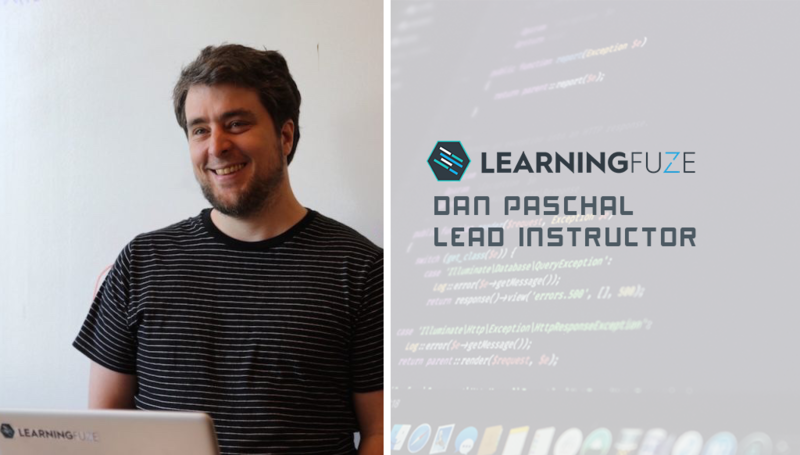 Not only that, but LearningFuze was offering a curriculum that I was very interested in; particularly, learning ReactJS. Q. How much prep work did you do before coming into the program and what were some of the best resources? Q. What was your biggest challenge during the program and how did you get through that? A. Consistency. Consistency. Consistency. Wow. I cannot explain to you how hard it gets. The first month is particularly difficult. 10AM-8PM and more, everyday, staring at the computer screen, busting your brain to the absolute limits, banging your fists on the table asking “Why?! Why?! Is there an error?! What did I do wrong? ?” And you found out you had declared the variable outside the scope of your function. But it’s that consistency in solving those problems, the ones that really make you want to pull your hair out, that make you not only a stronger person, but a proficient developer. Q. At what point in the program did you have that aha-moment and say “I’m a freakin’ Developer!”? A. Oh man, I have had so many aha-moments. I still have those. The most memorable was when I finally understood React-Redux. I had been struggling with understanding how the flow of data in React-Redux worked at all. I had to absorb it, I had to play with it, I had to fail with it, and then one day, just sitting at the cafe staring at some vanilla ReactJS code, and then it hit me so hard, I felt like I had achieved some holy revelation, it was incredibly motivating too! Q. After the program ended how was your job search and entrance into the job market? A. I personally had never been in any professional setting so it was a huge learning curve for me, I didn’t know how to construct a resume, or write a cover letter, nothing in how to communicate to a company. I’d never interviewed with a company before either. It was difficult, but like all things, and just like I had learned React-Redux, I slowly got the hang of it with the help of LearningFuze (huge shoutout to TJ, you are the man). I had pushed somewhere between 8-10 applications a day. Sending emails, writing cover letters, all the while pushing myself as a developer, and trying to improve my programming prowess. Q. You were able to get a job pretty quickly. How were you able to achieve that? A. LearningFuze helped me. 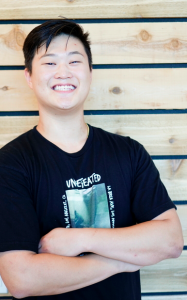 I got really lucky with a past LearningFuze alumni who had helped me get the job that I’m at right now (shout out to Kevin Chau). And like I said above, consistency, just keep developing, keep pushing those applications, and don’t give up. I got a little discouraged when some of my peers got jobs before I had, but none of that matters so long as you believe that you’re a still-blooming programmer who’s willing to keep learning and push their career to higher heights. Q. Would you mind telling us a little bit about what you are doing day to day as well as the technologies you are working with? A. So I work at SimInsights as what I like to call “the defaulted Lead Front-End Developer,” only because I am the only Front-end developer. I work with ReactJS and React Native. Just like I had wanted from the beginning of LearningFuze. My day to day involves, commuting in the morning, listening to Syntax or Developer Tea (great podcasts, you guys should check it out) or NPR, and I get to work around 9AM where I begin my morning stand-up with the India team. I talk to the mobile team, web team, backend team, then lastly the QA team, to make sure all the cogs in the machine are rolling. Then I have a meeting with my client, where I discuss progress in all aspects of the project, and finally before lunch I start developing and working on the front-end of my current project. I work till 6PM where then I go home, and have another evening meeting with the India team around 10:30PM(their morning), where I basically send the India team off on exactly what needs to be done that day of. It’s a lot of responsibility, incredibly stressful, energy draining, but I freakin’ love it. Everyday is a challenge, and everyday I’m learning something about development, but more than that, I’m learning more about myself, and my capabilities. Q. Would you have any final pieces of advice as students go through the cohort or even think about entering one? A. If you don’t have the patience to sit all day working out a problem, development isn’t for you. There’s a common mantra that a lot of developers say: “fail faster.” But for me, it was “fail frequently.” You have to fail, so many times, and you have to stare at the red line of code in the console, and you have to get frustrated, that’s the only way you’ll do great in this field. So yeah, it’s okay to feel like a failure, because as developers we’ll always be prone to failure and make mistakes, but we’re also prone to get back up and learn from the mistakes that we have made. LearningFuze’s TJ Kinion is key in helping students with employment prep after completing our coding bootcamp Dan Paschal of LearningFuze Offers Advice to New Students Taylor Takes The Leap Into Web Development And Lands Ultimate Success Coding Bootcamp: Your LinkedIn profile is more important than you think!